Recently I heard there is a golfer who is using single length golf clubs. (H/T Scott Adams) For those who don’t play golf, the standard golf clubs are of various lengths. The lower the number of the club the longer. Single Length golf clubs are all of the same length. One golfer has improved his game by using these clubs. The advantage of a Single Length club is a golfer would have the same stance and therefore one consistent swing is enough. Any golfers here who want to opine on this. How about people who love science who want to explain the physics between long and short clubs? For anyone else what is your guess? Is this a fad or will everyone be having these clubs? I remember in tennis how the rackets changed all of a sudden. Has anyone seen a wooden racket recently? The player causing this stir is Bryson DeChambeau. Here is an article to explain things. Japan has a holiday for sports. It was held on October 10th to commemorate the 1964 Tokyo Olympics but has since changed to the second Monday of that month. Schools have Sports Festivals on that day. The below video is of a high school’s Sports Festival. Two table tennis players having some fun. Which play did you like in the video? We know from the statistics that the decline in bowling has doomed society as we known it. It maybe too late but in a last ditch effort to Make America Strike Again I offer this video. In the comments please vote for the shot that knocks you over. When I grew up I just took it for granted that athletes trained hard and didn’t dope. Now I don’t think that way. There are just too many ways to get an edge through chemicals. When you want to win at any cost how do say no to ways to win? What percentage of athletes now dope? Why do you think that number is correct? Is doping wrong or just part of modern training? Which athlete shocked you the most by owning up to their doping? How important are sports shoes to you? I think the first brand name I ever wore were canvas Converse basketball shoes. Picture source for photo above. 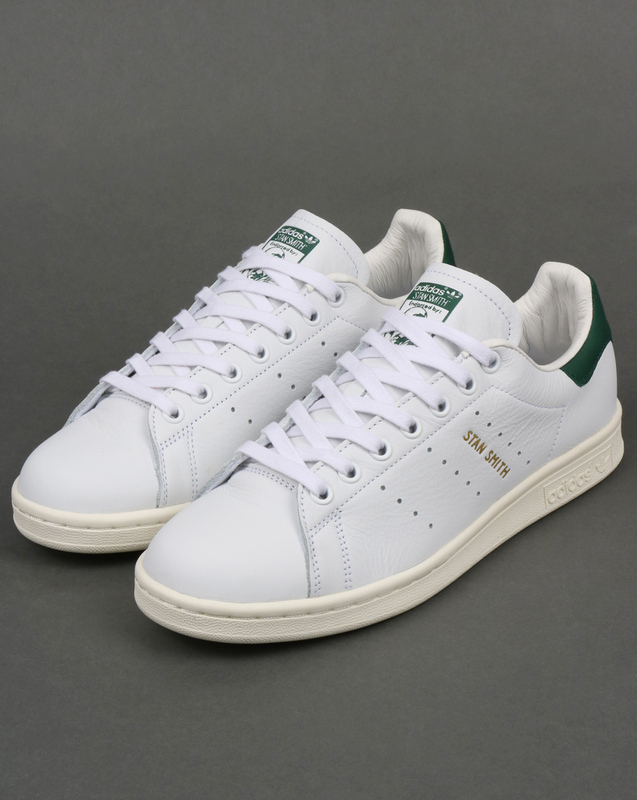 I think the next shoes I liked and bought were the Stan Smith Adidas for tennis. Doesn’t it seem like such a long time ago when the sports shoe market was so small? The variety was limited too. Nike, Reebok, New Balance, and a myriad of others came later. They went from being simple shoes and fairly cheap to fashion statements that cost a pretty penny. How about you? What was your entry shoe in this market? Do you have a favorite brand? I didn’t know that Nike bought out Converse in 2003, did you? If you look closely you will see a ball with a string. The ball has a hole in it. The picture shows the ball on the wooden spike. There are three cups. Two toward the top and one at the bottom. The object is to swing the ball on the string so it lands on one of the cups or the spike. As you can see the cups have different sizes. The bigger the cup the easier. The spike is the hardest. Here is a video to show how it is used. Today marks the beginning of competition in the Fédération Equestre International World Equestrian Games in Tryon, North Carolina. WEG, as horse people call it, occurs every four years in the middle of the summer Olympic cycle. WEG began in Stockholm, Sweden in 1990 and the most recent was held in 2014 in Normandy, France. The 2014 games were the largest to date and the 2018 games will surpass that event. One might not think of western North Carolina as being horse country. Tryon put in a bid to host the games after Bromont in Quebec pulled out over funding issues. Tryon organizers headed by entrepreneur Mark Bellissimo, publisher of trade publication The Chronicle of the Horse, have spent upwards of $250 million expanding the venue, and entire area is hoping to benefit from the influx of spectators at a time that traditionally sees a bit of a lull in tourism dollars. There have been some bumps in the road…housing for grooms on-site was underestimated and incomplete (a groom for Team Australia described the situation as “shambolic”), but it certainly is better than when the games were held in Italy in 1998 where restrooms at the Pratoni del Vivaro eventing and driving venues were holes in the floor. The games themselves are all located at Tryon, a great improvement over the last cycle in France where some venues were separated by hundreds of miles. The horses began arriving last week. In what has been described as the largest commercial airlift of horses in the history of equestrian sport, 550 horses flew from Liège and Dubai, as well as eleven South American Countries. An additional 270 horses arrived overland by trailer, including the Australian Reining team which trains in California. The horses and their human counterparts will compete in eight disciplines over two weeks. If you are in the US, NBC Sports, NBCSN, and the NBC Olympic Channel will offer coverage of the events. Alternatively, you can watch the entire games online for $27 on FEI-TV. Horse shows run rain or shine–thunder and lightning are the only limiting factors. Some events necessarily take place outdoors. The weather forecast for the first few days is uncertain as Hurricane Florence heads toward the Carolina coast. Tryon is far enough inland that available private stabling in the area is being offered to horses evacuating from coastal areas. The safety of the participants, both human and equine, is paramount. Some events are held in indoor arenas; outdoor arenas have what has been described by participants as having “state-of-the-art drainage.” If necessary, times and/or dates for events (such as cross-country) will be changed. Covered seating is available for some outdoor events, although a number of events are already sold out. There will also be various equestrian demonstrations and exhibitions, activities for non-horsey people (off-roading in a Land Rover, anyone? ), food, adult beverages and plenty of shopping. The competition begins today with Dressage. Dressage is a judged sport where the horse demonstrates natural movements over a predetermined test course. The rider must memorize the course and guide the horse through the movements. The judges compare the team to an ideal standard and award scores for each required movement. Dressage is a test of the training of the horse and the skill of the rider. To the uninitiated, Dressage can be as exciting as watching paint dry. One attempt to draw more interest to the sport is the innovation of Freestyle dressage, where horse and rider perform to music. Here Charlotte Dujardin demonstrates just how beautiful a horse and rider can be. Para-Dressage tests the skill of riders who have various impairments, from vision loss to paraplegia to missing limbs. The rules for para-dressage are adjusted depending on the level of disability to ensure a fair competition. Kate Shoemaker will make her debut on the US team: she would train from midnight to 2 a.m. while in veterinary school. Stinna Tange Kaastrup from Denmark was born without legs and competes in Grade II. Endurance riding tests the stamina of horse and rider and originated in the US. The timed race occurs today. The USDA had to inspect and approve the course, which was completed only a couple of weeks ago as it has been a very wet summer. The 100-mile (160km) course is a 30 to 50-foot wide, 14-feet high swath through forest and field–the height and width of the trail is to attempt to keep ticks from getting to the horses. It has been reported that some international horses tested positive at quarentine for tick-borne equine prioplasmosis. There are enough tick-borne diseases already in NC. Rocks have been removed and footing has been installed. The fairly flat course, however, tends to encourage unscrupulous riders to exhaust their horses. A more technically demanding course over the naturally hilly terrain would have been preferred by some teams. The race at Tryon might be the most scrutinized event of the games. There are plenty of FEI rules governing endurance racing, which apparently challenges some competitors to see just how many they can break to win. A respected independent group, Clean Endurance, published an A-to-Z Guide on how spectators can spot cheating and abuse. The activity of all horses and participants in the entire games is tightly controlled. Even this morning’s start was chaotic. The course is a loop, and in the dark, foggy, North Carolina mountains 70 horses started at one point and 70 at another. A veterinarian on-site reported that there was enough confusion to cause officials to stop the race after one loop, allow the horses to rest and restart the race as a 120km (~75 mile course). This is unprecedented. Eventing combines three disciplines over three days: a cross-country race with obstacles, or “questions,” for the horse and rider to jump, dressage, and show jumping. The rules for the Eventing c0mpetition have changed this year for WEG, changing the dressage scoring, or co-efficient, and reducing the cross-country course’s difficulty. The cross-country course has been designed by Captain Mark Phillips, who has designed outstanding courses for Burghley Horse Trials in England. Eventing cross country is one of the most exciting things to watch, as horses gallop across fields, through ponds and over very creative jumps. The champion eventer will have the highest combined score of dressage, cross country and show jumping. Driving is not an Olympic sport, so WEG is the Olympics for the sport. Given the expense of travel, only the very best competitors will be on display at Tryon. This is not surrey-with-the-fringe-on-top territory, this is real horsepower–Ben Hur without spikes. Driving is another discipline which encompasses three days of competition: dressage, marathon and cones. Driving teams consist of three humans and four horses, along with a carraige. Dressage begins the competition where a memorized series of maneuvers is executed to present to judges as effortless an appearance as possible. Teams are judged on regularity of pace, ease of movement and discipline. The next day’s Marathon isn’t 26 miles, but it is designed to test the horses’ fitness and stamina as well as the skill of the driver and team over the countryside, around trees, over bridges, through water with horses cantering tight corners and humans acting as ballast not unlike a four-man bobsled run. team. The cones are literally that–orange safety cones with a little ball perched atop. Knock off a ball and receive a penalty point. The team with the lowest overall score will be named World Champion. The Dutch team is highly favored. World Champion Jordan Larson riding HF Mobster. Photo Waltenberry, Inc. Cowboy up, partner. Reining team competition begins today. While not an Olympic-level sport, reining has gone international with 20 national federations sending either their best teams or individual riders to compete. Reining has been recognized as a competitive equestrian sport since 1949, and it has been part of the FEI since 2000. No fancy warmbloods here, Reining relies on the American Quarter Horse and is designed to showcase the skills and abilities of a ranch horse within a show arena. Once again, like dressage, Reining requires demonstrating skills and movements, but the focus here is on the sorts of things a horse would have to do out in the midst of handling cattle. Spins, flying lead changes and sliding to a stop are judged with a starting score of 70. Bonus points can be added for each skill or deducted for poor execution. Top team qualifiers move up to the individual competition, with individual medal competition on Saturday, September 15. Reining riders may sport sparkle and bling; spectators support the competitors with plenty of cheering. The Reining competition is projected to draw the largest crowds–the all-season pass to each day of events is sold out. where performers would execute acrobatics on cantering horses. Today it is performed on a cantering horse on a longe line. The horse must keep a steady, rhythmic canter and allow people to perform on its back. It is theatrical, beautiful and athletic and would put any circus act to shame. There are four divisions in vaulting: Squad (three performers on the horse at one time, with a squad of six), Individual, Pas de Deux , and a new Nations Team competition. Except for the team competition, vaulters perform compulsory, technical and one-minute freestyle routines; the top 15 competitors will perform the technical test which assess the quality of a pre-determined set of skills and repeat their freestyle. Team competition is only freestyle. The freestyle competition is sold out. Show jumping has an interesting origin with the Inclosure Acts in England, creating private property rights and putting fences on what had previously been land held in common. Of course, if there is a fence, you have to jump it and a sport was born. Good fences may make good neighbors, but in show jumping the obstacles are considered “questions” that the horse and rider must solve. With fences ranging up to 1.65 meters in height, 2 meters or more wide and water obstacles that are 4 meters across, a good jumping team, both horse and rider, must be brave. Riders will walk the course on foot, measuring distances in human strides, searching for shorter distances to shave off seconds. The rider must assess distances between fences, take-off points in front of fences, and where to shave off fractions of a second without knocking any rails off. The goal is a clear round in the shortest amount of time. Riders are assessed penalty points for knocking rails, having their horse step in a water jump on either take-off or landing, and exceeding the allowed time for the course. All clear rounds within the alloted time proceed to a jump-off round. Show jumping will compete over four days, with individual and team rankings on the line. At the end of day two, only the top 60 riders will advance to individual medal competition and the top ten teams will advance as well. Day three features the medal rounds in team competition. The individual medals will close out WEG 2018 with a two-round competition. The first part returns the top 25 riders from previous days’ efforts; the second part showcases the top 12 medal contenders. WEG 2018 is a special opportunity to see the best in the world all in one lovely place. From time to time it is suggested that each individual sport go back to hosting its own championships. It can be difficult to find a single venue that can accommodate so many horses, competitors and spectators. Tryon, North Carolina has had less than two years to prepare for this event and is trying to become a world-class venue as well as an equestrian lifestyle destination. The riders are all dedicated athletes, and the horses are stunning and love what they do. Join the rest of the world, tune in over the next two weeks when you are able and watch some of the very best human and equine athletes. But be careful around young children, you might just end up buying a pony. SPORTS WEDNESDAY: 18-9-5 What Defines a Legend? Author Michael Lewis: The game of football evolved and here was one cause of its evolution, a new kind of athlete doing a new kind of thing. All by himself, LT altered the environment and forced opposing coaches and player to adapt. After linebacker Taylor joined the team, the Giants went from the second worst defense in the NFL to the third best. As DB Beasley Reece told the NYT, “I’ve seen quarterbacks look at Lawrence and forget the snap count.” Taylor also upended the entire salary structure in football because offensive left tackles (guarding the QB’s blind side) were making the second and sometimes the highest salaries on the team. Author EThompsonPosted on 2018-09-05 2018-09-06 Categories . Mild, Short, casual posts, Sports Wednesday, Weekly Posts6 Comments on SPORTS WEDNESDAY: 18-9-5 What Defines a Legend? First, we all know Mike will choose Ladies Beach Volleyball. For the others, what sport is it? I could offer my suggestions but I want to see your views. As the sun sets on the ides of August, I bring you one of the most annoying things that can happen at a horse show: the open in-gate. An open in-gate is exactly what it sounds like…the entrance to the arena is empty. Everyone is waiting for the next competitor. The judge is annoyed. The other competitors are cooling their jets trying to quash their nerves, worried that their trainer is going to put them in out of order. There is gossip about the inexperienced trainer who is somewhere else, holding up the show. In the end, the trainer arrives, the competitor enters the arena–the show goes on. Everyone is polite, an apology is offered, a laugh is shared. I’m holding up the show, keeping the in-gate open. When I come back, ready to actually post, I will tell you how to enjoy a hunter/jumper horse show. Now may be a good time to hit the porta-potty or get a snack. Just remember, the horse world is very small. If you say something about this missed commitment, it will get back to me and I’ll tell everyone about how you jumped that oxer backwards in the warm-up ring. So this góral named Andrzej Bargiel decided to climb K2 carrying his favorite pair of skis, then ski down. He asked his brother Bartek to bring up the snacks and take the drone footage. His brother said sure. This was on July 22, 2018; a report made it into the August issue of Polish-American Journal. I was so relaxed and comfortable in my reading chair, despite ink glomming on my fingers from the exercise of turning the pages of the print edition, when this shocking report destroyed the peace of that athletic endeavor. Andrzej Bargiel, 30, has become the first person to ski down the world’s second-highest mountain. With skis in hand, the highlander from Zakopane climbed the 28,251-foot peak and skied back down to base camp intact. He didn’t use any oxygen. The downhill “run” took him a little over seven hours. When you look at the drone camera footage, you can see that it was seven hours at steepness rating “Ridiculous”. Last year, he had attempted the same daredevil feat but had to abandon the bid due to bad weather. . . There are moments in the footage when cloud obscures everything. What can you do if the cloud settles in for a few days as you sit there on a 45- or 50-degree slope of snow with a crevasse on either side?
. . . Three years ago, Bargiel became the first skier in the world to descend from the nearby 26,295-foot Broad Peak. He has now skied from the summits of five of the 14 highest mountains. Here is another good compilation of the day’s footage. Nowadays, it’s bye-bye Tatras and hello Karakorums. And there are no sheep to rescue on K2! Is this nuts? Of course it is admirable and valuable to pursue excellence and expand its definition. And of course, if someone has skills, he feels compelled to exercise them and perfect them. But suppose you had his talents: would you look around for an application of them that produced immediate practical benefit? Or would consider it simply a good, even a necessity, to keep up and advance the traditional skills just so one’s descendants can do daring rescue ops on Luna some day? What do Ratburgers think? A new web site needs a lot of varied content. There are three weekly posts to get people talking about food, sports, and photos. The post can be as long or as short as you want.